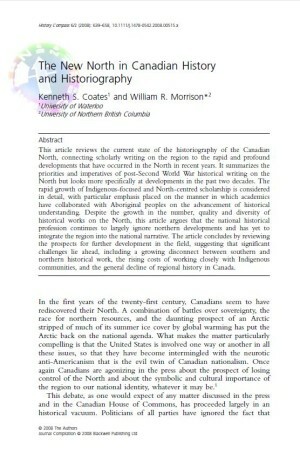 “The New North in Canadian History and Historiography,” History Compass, #6 (2008). With William R. Morrison. 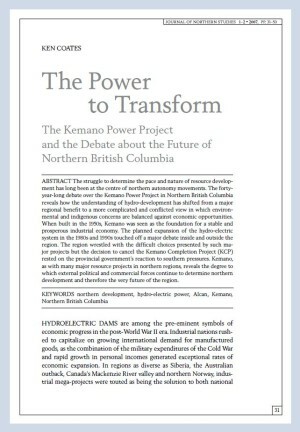 “The Power to Transform: The Kemano Power Project and the Debate about the Future of Northern British Columbia,” Journal of Northern Studies, No.1-2 (2007). 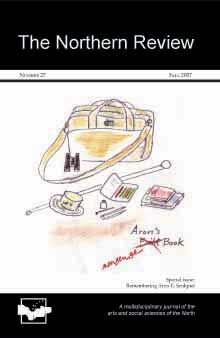 “Founding the University of Northern British Columbia,” The Northern Review, #27, 4/20 (Fall 2007). 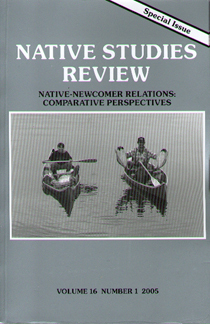 “Tracking the Snowbirds: Seasonal Migration from Canada to the U.S.A. and Mexico,” The American Review of Canadian Studies (2003) With Robert Healy and W.R. Morrison. “The Front Line of Canadian Prosperity: Remote Camps in Canadian History,” Proceedings of the 1st Cold Regions Specialty Conference of the Canadian Society for Civil Engineering, 1999. 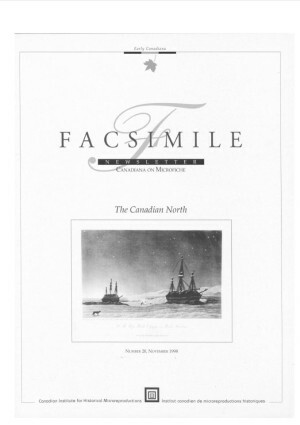 “Reading the North: CIHM and Human History North of 60, Facsimile,” no. 20 (November 1998). “War-Time Boom Town: Fort St. John, British Columbia During World War II,” Journal of the West, vol. 36, no 4 (October 1997). 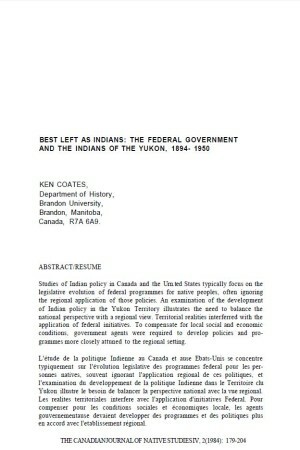 “The Federal Government and Urban Development in Northern Canada After World War II: Whitehorse and Dawson City, Yukon Territory,” BC Studies (Winter 1994/1995). With W.R. Morrison. 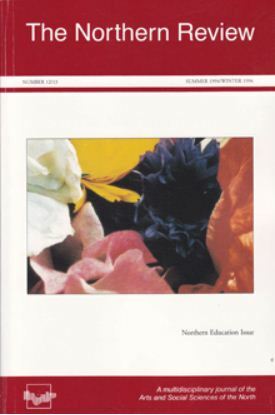 “The Rediscovery of the North: Towards a Conceptual Framework for Northern/Remote Regions Studies,” Northern Review, 12/13 (Summer 1994/Winter 1995). 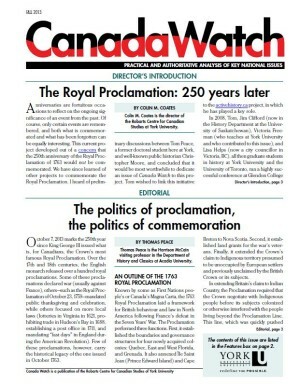 The North’s Divided Dreams: The Colonial Past’s Stubborn Legacy, Compass: A Jesuit Journal (Nov/Dec. 1994), pp. 7-10. With Carin Holroyd. “Soldier-Workers: The U.S. Army Corps of Engineers and the Northwest Defense Projects, 1942-1946,” Pacific Historical Review, 1993. With W.R. Morrison. 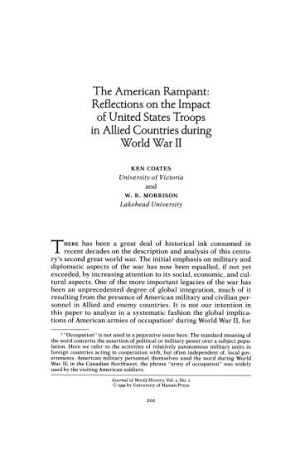 “The American Rampant: Reflections on the Impact of the U.S. Armed Forces Overseas During World War II,” Journal of World History, Vol. 2, No. 2, (1991). With W.R. Morrison. 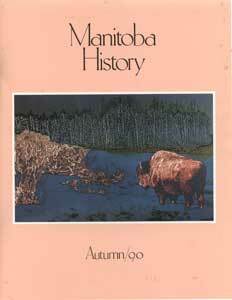 “Western Manitoba and the 1885 Rebellion,” Manitoba History (Fall 1990). The North: Treasure Trove or Partner in Confederation? 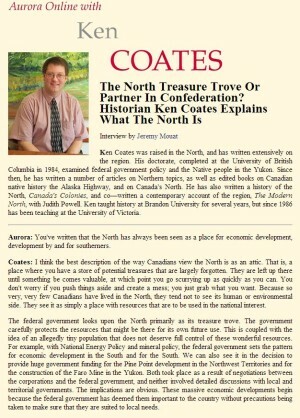 : Historian Ken Coates explains what the North is and what it wants, interview by Jeremy Mouat, Aurora (Spring 1990), 19-24. 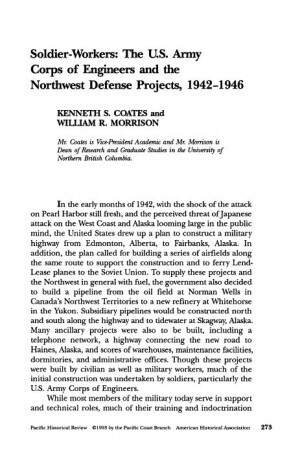 “Whitehorse and the Building of the Alaska Highway,” Alaska History, Summer 1989. With Judith Powell. 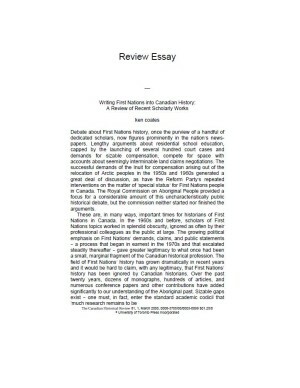 “Best Left as Indians: The Federal Government and the Indians of the Yukon Territory, 1894-1950,” Canadian Journal of Native Studies, Vol. 4, No. 2 (1984). Reprinted in Robin Fisher and Ken Coates, eds., Out of the Background: Readings in Native History (Toronto: Copp Clark Pitman, 1988). “Controlling the Periphery: The Territorial Administrations of the Yukon and Alaska, 1867-1959,” Pacific Northwest Quarterly, vol. 78, no. 4 (October 1987). 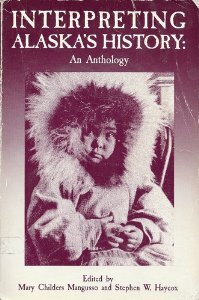 Reprinted in Steven Haycox and Mary Mangusso, eds., Interpreting Alaska’s History (Seattle, 1996). 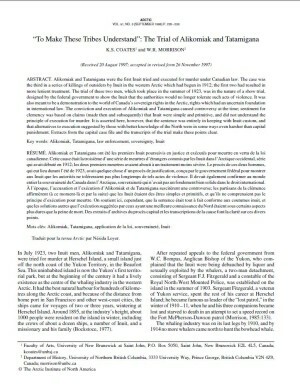 “Send Only Those Who Rise a Peg, The Recruitment and Use of Anglican Missionaries in the Yukon, 1858-1931,” Journal of the Canadian Church Historical Society (Summer 1986). 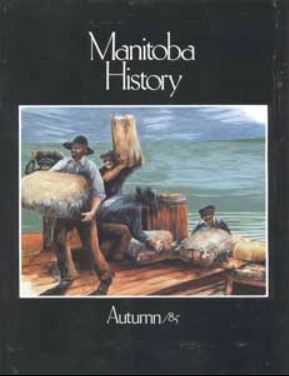 “Northern Visions: Recent Historical Writing on the Canadian North,” Manitoba History (Autumn 1985). With W.R. Morrison. 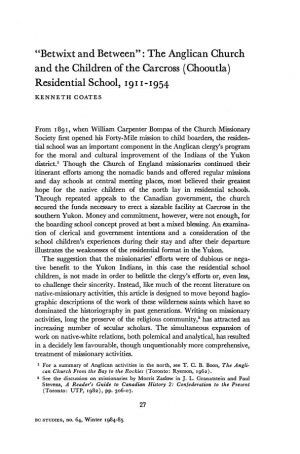 “Betwixt and Between: The Anglican Church and the Children of the Carcross (Chooutla) Residential School, 1922-1954,” BC Studies, No. 64 (Winter 1984-1985). “The Kennicott Network: Robert Kennicott and the Far Northwest,” Yukon Historical and Museums Association, Proceedings, No. 2 (1984). 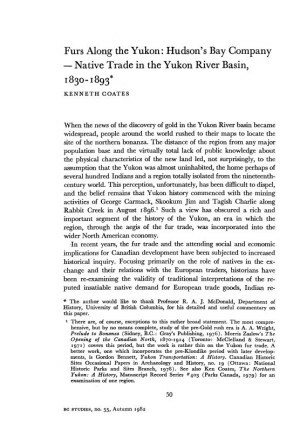 “Protecting the Monopoly: The Hudson’s Bay Company and Contemporary Knowledge of the Far Northwest,” Yukon Historical and Museums Association, Proceedings, No. 2 (1984).